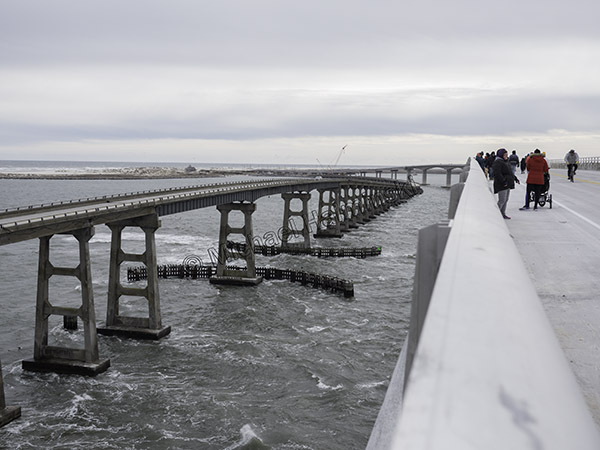 No matter how you look at it, the new bridge over Oregon Inlet is an engineering marvel. 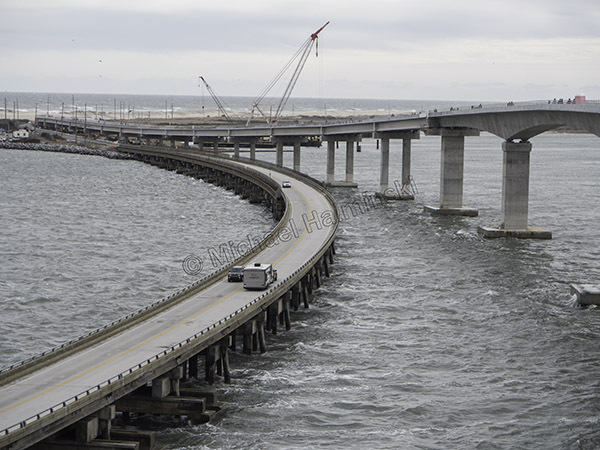 For the past few years, driving over the old Bonner Bridge, we witnessed the construction progress, going together like a humongous tinker toy. 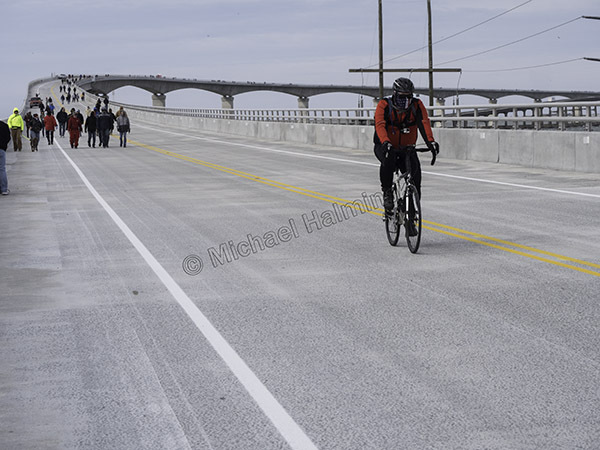 Last Saturday, NCDOT opened the new thoroughfare just for pedestrian and bike traffic. 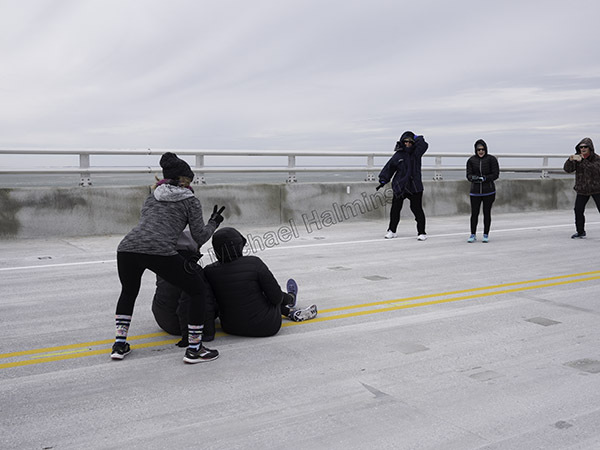 It happened to coincide with 40° weather and a northeaster, making it somewhat more challenging. 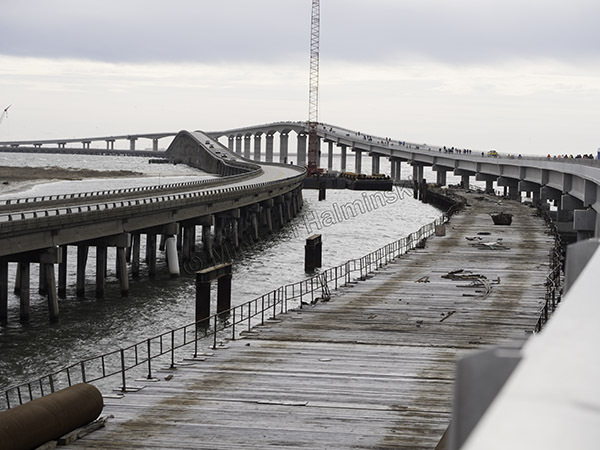 The Bonner Bridge is well past it’s life span, so it’s out with the old, in with the new. 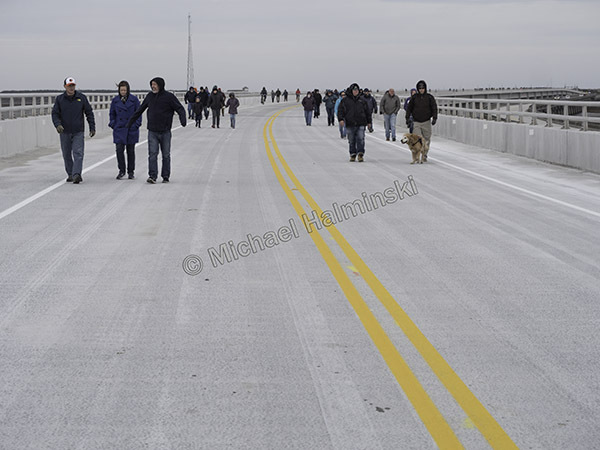 At 10:15 we began our walk on the north side, heading south, downwind. 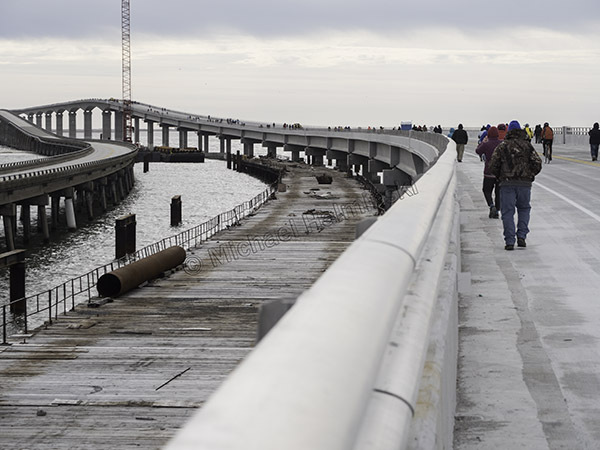 Dozens of folks had already begun the 2.8 mile trek. 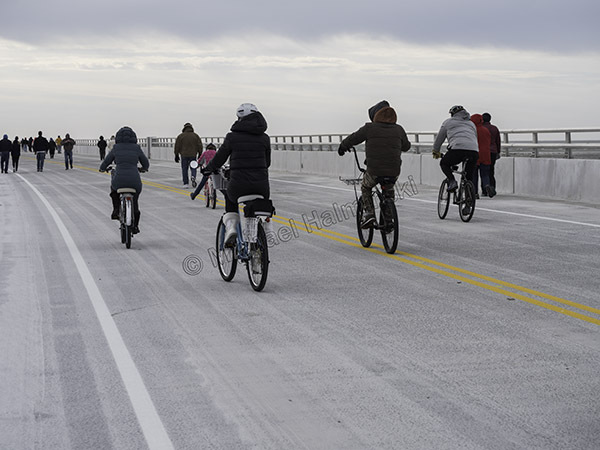 With a 30 mile an hour breeze at their backs, bikers hardly even needed to peddle. Equipment was still in place. 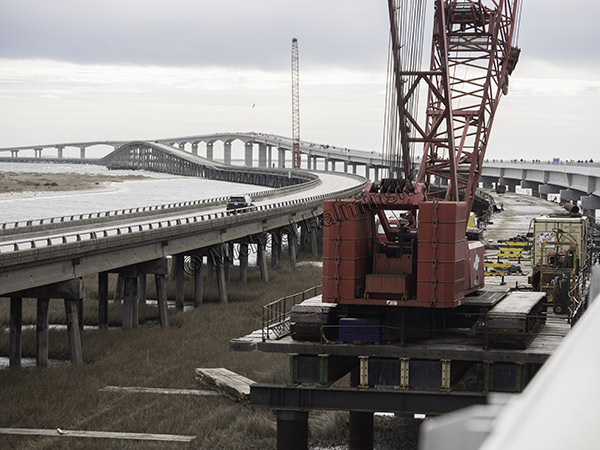 Following a curve, the new road rises to the peak about 90 feet above the water. 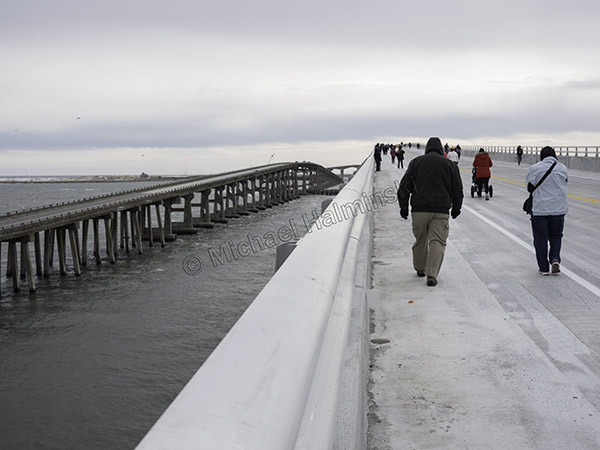 The high point of the old Bonner Bridge is about 70 feet. 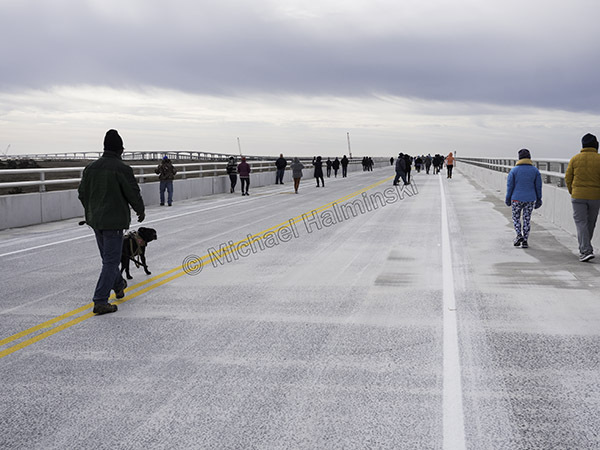 Hitting the uphill grade, I felt the wind intensify as if the bridge created a Venturi effect. Facing into the wind from the rise, I saw more approaching troops braving the elements. On top the wind seemed to accelerate even more, as tide boiled through the inlet. Photo ops were everywhere and everyone became photographers. … almost got blown away. 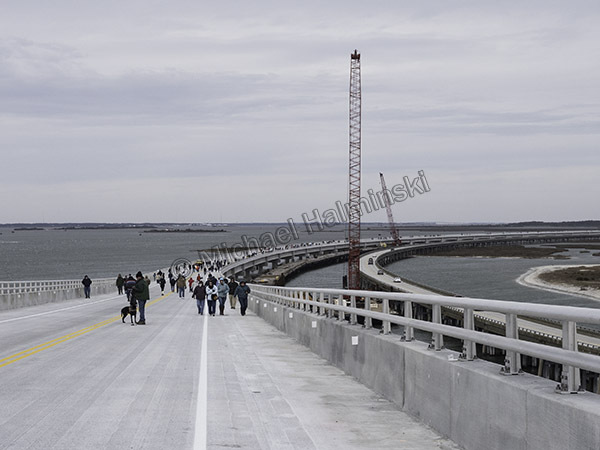 Three quarters into the walk, the south end of the new bridge converges back toward the old bridge landing. Looking back I could see hundreds of people still underway. 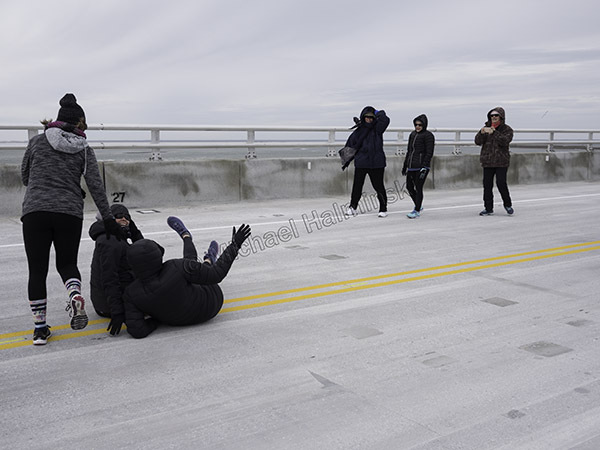 A cyclist coasted to the end of his downhill run. 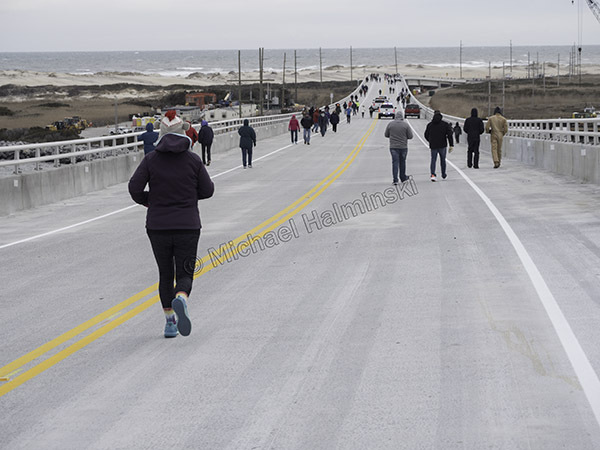 Welcome to Hatteras Island, home of Highway 12, probably the most expensive road to maintain in the entire state. 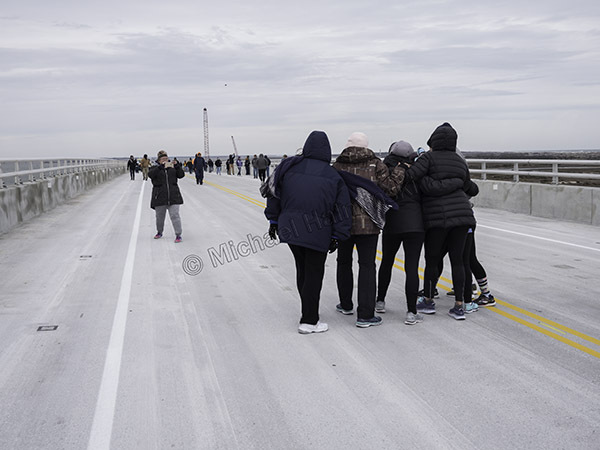 This entry was posted in history, inlets and sandbars, Outer Banks, Pamlico Sound, People, Sea on February 11, 2019 by j0jgvm89bj. Recently I read how George Bush, as a young Navy pilot, would see the Hatteras lighthouse from the air during flight school training out of Norfolk. 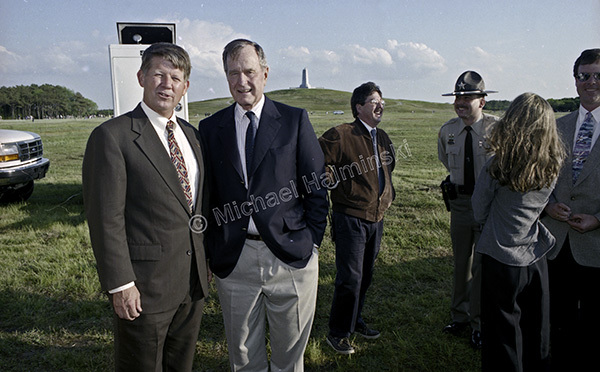 It made me recall our forty-first president returning years later as a visitor in 1997, then in 1998 for the rededication of the Wright Brothers Monument. 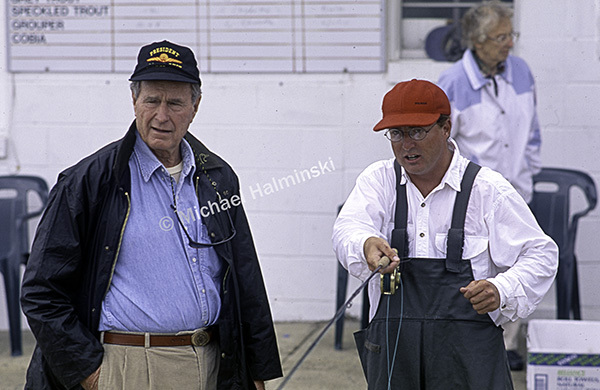 In the Fall of 97 I had a chance to meet him fishing at Harkers Island. 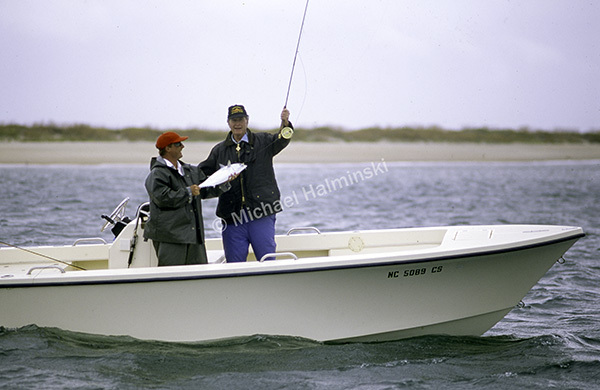 The Core Sound is a fisherman’s paradise and President Bush arranged to go with Sam Sellars, a guide who would take him fly fishing for false albacore. Before getting underway, Sam demonstrated some new tackle for the former president. 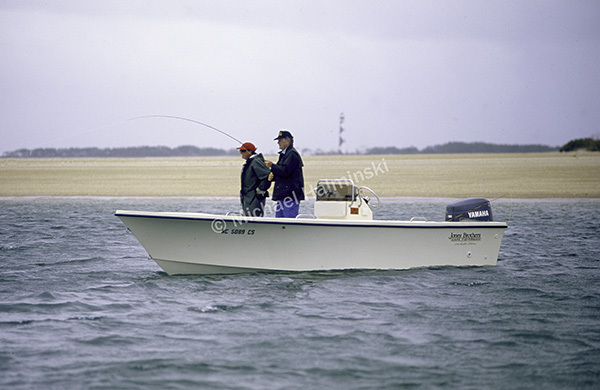 After an hour of tedious casting, the president finally hooked up near the Cape Lookout Lighthouse. 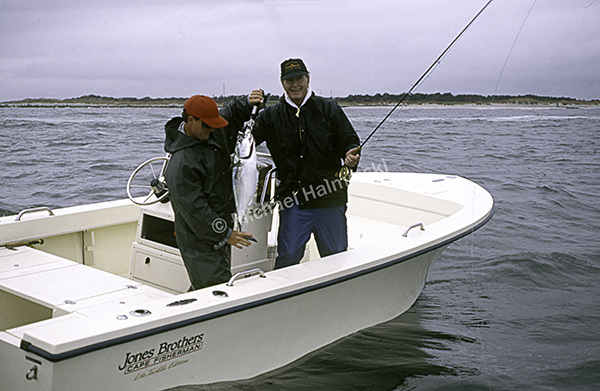 Of course, Sam and the president were elated when he boated a nice one, and released it. 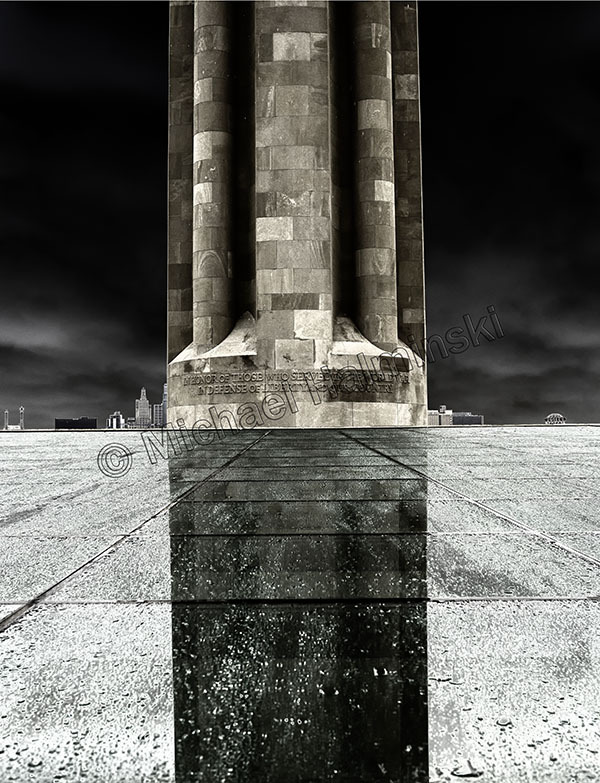 The weather deteriorated with some passing rain squalls, but the president still managed to pull in a few more. At one point he noticed a styrofoam cup floating by and directed Sam toward it. 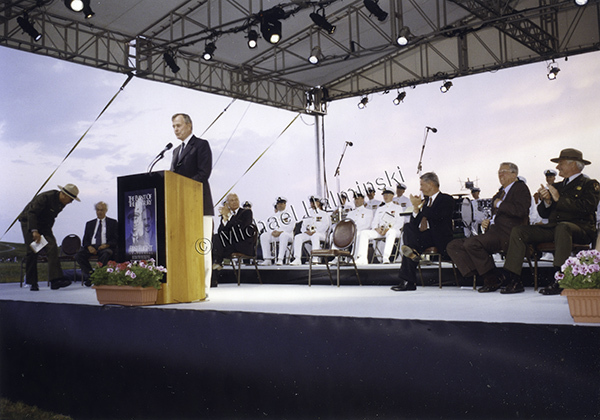 President Bush then leaned over and plucked it from the water. That little gesture really impressed me. 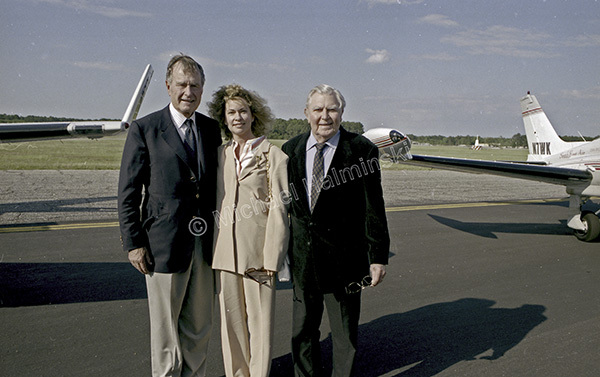 The following May, President Bush flew in to Manteo Airport and was greeted by local resident Andy Griffith and his wife Cindy. I was given the responsibility to take pictures for the First Flight Commision, and rode with them to the Wright Brothers Monument for the rededication ceremony. There were other dignitaries present, including our State Senator Marc Basnight. 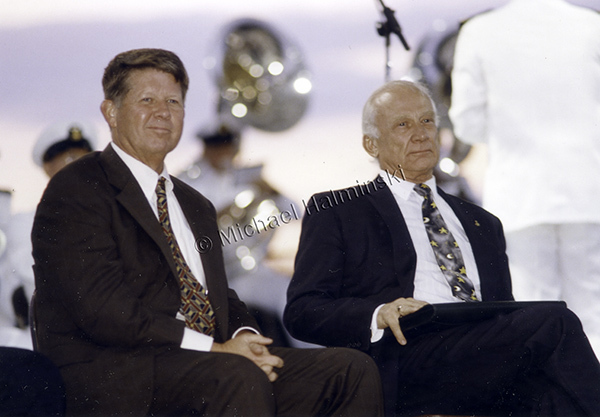 Senator Basnight and astronaut Buzz Aldrin were seated together on stage as speakers addressed a large audience. 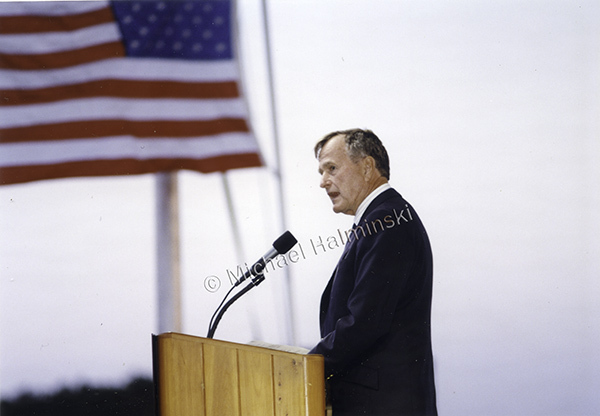 The highlight was hearing President George H. W. Bush deliver the keynote speech. 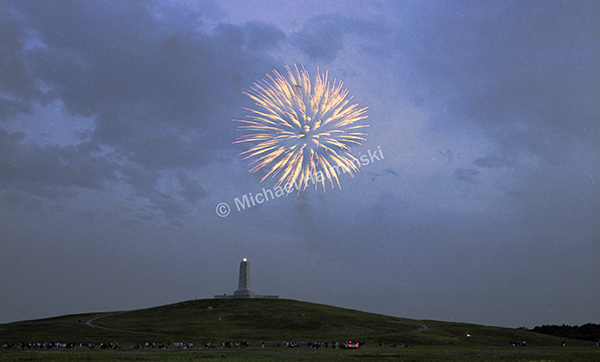 The event culminated with relighting the beacon atop the monument and a spectacular fireworks display. It was the first time the beacon was shown bright since being cut off during the Second World War. 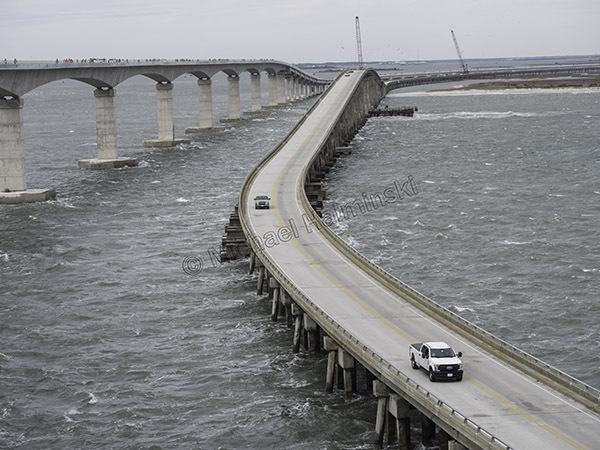 This entry was posted in Fishing, history, Outer Banks, People on December 22, 2018 by j0jgvm89bj. One of the best things one can experience is companionship. As pets, dogs are cherished and devoted to their owners. 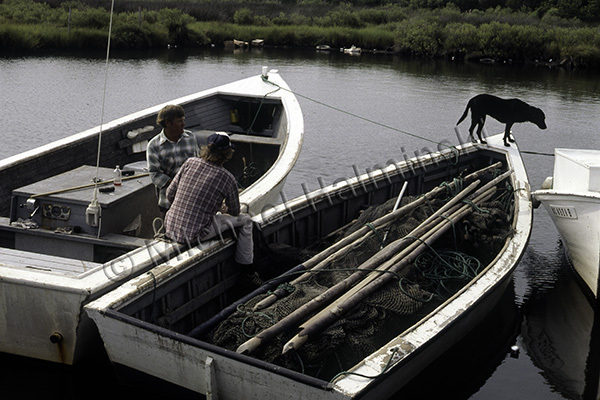 Years ago when I became associated with locals that fished commercially, I noticed a number of them taking dogs out on the water. The harbor at Rodanthe was a pretty busy place back then. 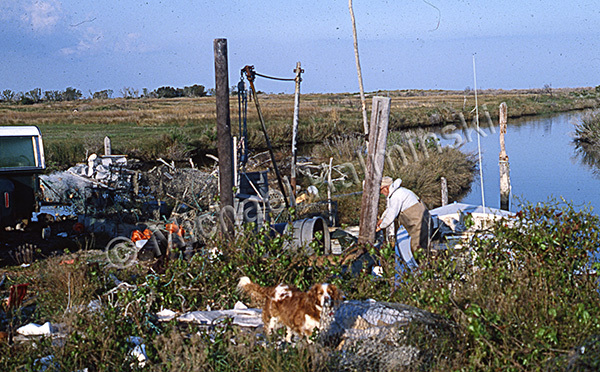 There were gill-netters, crabbers and long haulers working out of that spot, better known locally as The Creek. 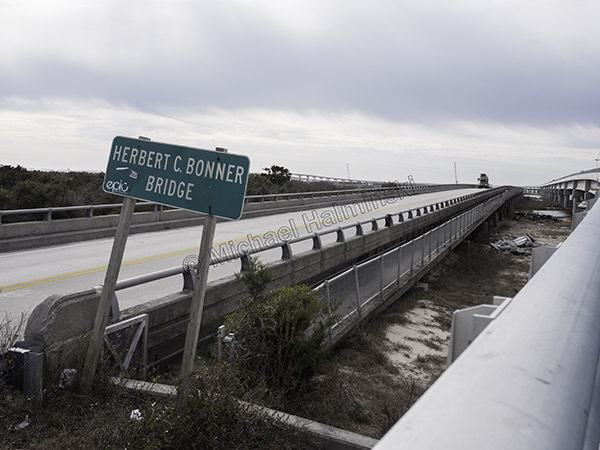 In the Summer of 1980, brothers Collins and Belton Gray ran their long haul rig out of Rodanthe. In this photo Belton, Sr and son Belton, Jr contemplate after packing out their day’s catch. 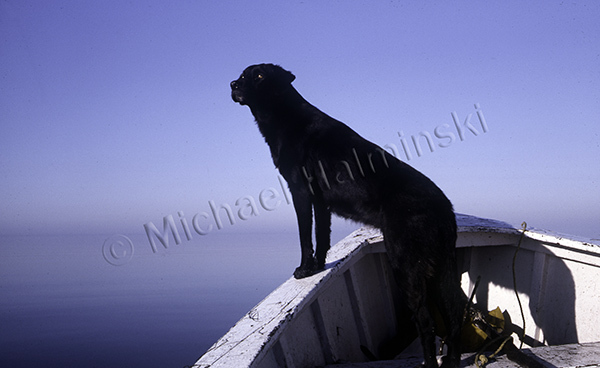 I don’t recall the name of their black lab standing on the bow. 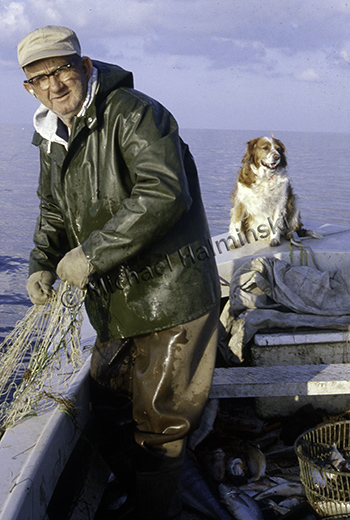 Dale Midgett ran the fish house and packed out the daily catches for Jimmy Austin Seafood Company with his loyal companion, Titus. Another fishing friend of mine was Roger Woolyhan. He worked out of The Creek and had just begun a career in commercial fishing after moving here from Delaware in the 70’s. 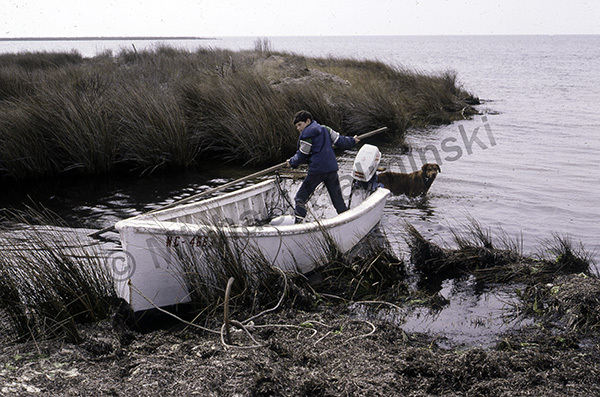 He bought an old wooden skiff and learned to hang his nets. 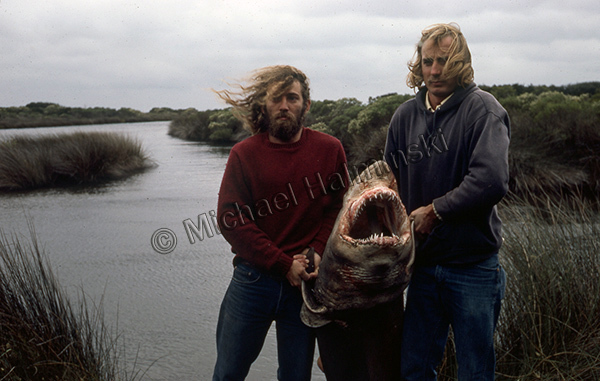 I went fishing with him a number of times and got one of my favorite shots in Spring of 1977. His female black lab was named Moose. She went everywhere with him fishing, surfing or shopping. It made no difference to her, as long as she was close. 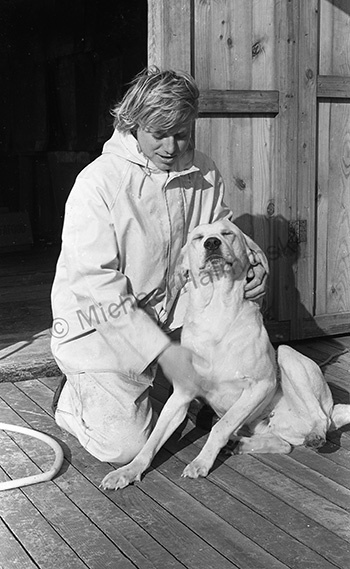 By 1987 after I had finished building my home in Waves, a regular visitor was a young boy named Brian Midgett. He and his extended family lived on property adjacent to mine, and still do. My Chesapeake Bay Retriver named Boca loved Brian and they frequently played in the creek behind his grandparents’ place. Boca always wanted to be in the water. 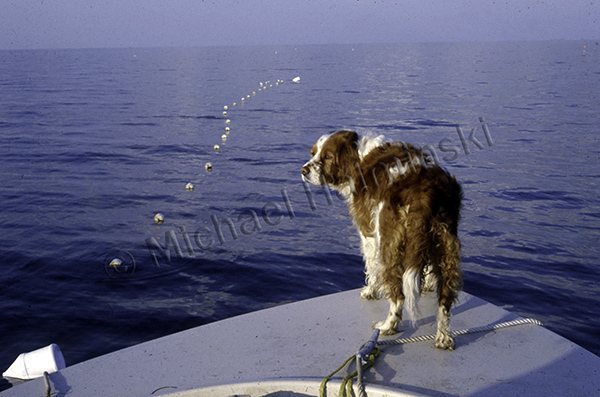 Boca was a big, beautiful Chessie and I took him whenever I foraged the sound for oysters. 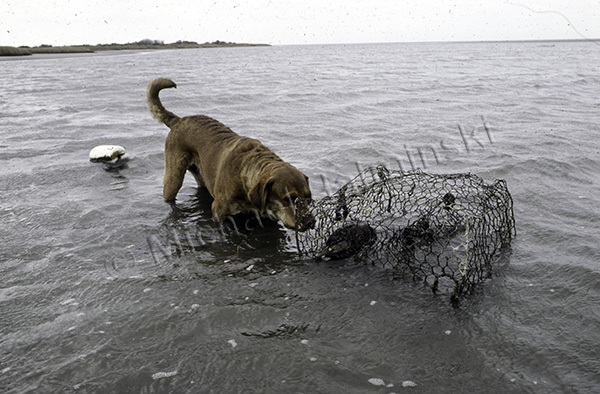 When he found a terrapin trapped in this abandoned crab pot, we released the poor struggling critter. Another creek in Salvo belonged to Burgess Hooper. He was born, raised and fished there all his life. With his wife Zanovah, they owned property and rental units. I used to help him on maintenance and building projects. We were pretty close and he loved his canine companion, Princess. She fished with him every time he went out on the Pamlico Sound. Burgess was an old school Hatterasman and still fished with traditional cotton nets. Princess anticipating catches from the bow, had sea legs. She was truly a man’s best friend… unconditionally! This entry was posted in Animals, black & white photography, commercial fishing, boat, pamilco sound, gillnetting, Outer Banks, People on November 21, 2018 by j0jgvm89bj.